Map of present-day Lövstabruk. photo: Gabriel Hildebrand, 2018.
wrought-iron gates at each end. When approaching from the south, the large park, manor house and outbuildings are located on the right, in an area enclosed by a tall, wrought-iron fence. On the left are the forge workers’ homes, the church, former shop, inn, works office and the director’s house, which later became the post office. Beside each gate, extending westwards, is a cross street: Södra Gatan by the south gate and Norra Gatan by the north gate. Halfway along Stora Gatan, by the church and the inn, are two additional cross streets: Västra Gatan and another, unnamed, street. All these cross streets link Stora Gatan with the parallel, far humbler Fägatan, a street used by people and animals. Stora Gatan from the north. photo: Gabriel Hildebrand, 2015. The environment, as a whole, has a distinctly 18th-century feel. After the Russian attack in the Great Northern War, much of Lövstabruk lay in ruins. Yet it was quickly rebuilt. Parts of the old orangery in the manor-house park survived the fire. The reconstruction largely followed the old plan, with the exception of the long sides of the buildings, which now faced the street. The timber buildings were coated with yellow render, a colour that unites the settlement. The church was rebuilt very quickly. 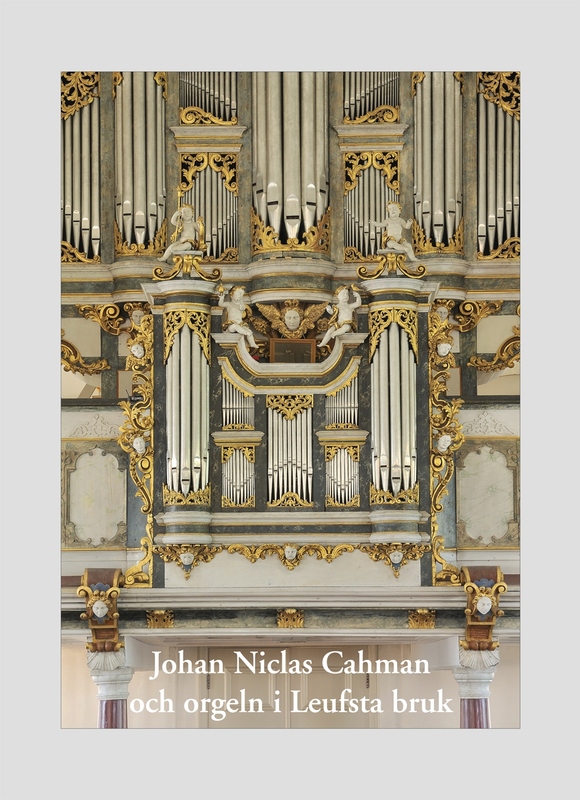 Less than a decade after the devastation, the grand organ, built by Johan Niclas Cahman was inaugurated. The church interior, with its austere beauty, is often used for concerts. The south of the manor-house park, with the clock tower and church in the background. photo: Karl Johan Eklund, 2015. In the church the old “pew of shame”, with its tall, blue-grey painted bars, is preserved on the left, just inside the entrance. It was still used less than a century ago. To the right, an area of seating known as the forgemen’s pews faces the pulpit on the left. Ostensibly for workers who were hard of hearing, the orientation of these seats in fact reflects Reformed ideas that emphasise the Word of God in worship. Stora Gatan, Lövstabruk’s main street, with its homes, church, director’s house and works office. photo: Gabriel Hildebrand, 2015.
coat of arms, held aloft by two lions. The identity of the building’s architect is unknown. In and around 1760, Charles De Geer commissioned the architect Jean Eric Rehn to work on the manor house. He designed the two rectangular waterside pavilions for De Geer’s library and natural history collection, as well as the elegant manor-house dining room and the aviary in the park. The manor house shows works of art that are well worth seeing. These include the collection of De Geer family portraits in the dining room, a copy of David Klöcker Ehrenstrahl’s 1680s painting of a huge elk, and various landscapes of the local area. During the industrial boom of the 19th century, a number of changes were made to the environment of the manor house itself and the settlement in general. The architect Isak Gustaf Clason remodelled the large storehouse in Dutch Renaissance style, built a new home for the works treasurer – the present-day restaurant – and designed two library rooms in the manor house, one to house Carl de Geer’s geographic collection. The manor house. photo: Gabriel Hildebrand, 2015. At the same time the manor-house park was redesigned to suit 19th-century taste by Olof Strindberg, the head gardener and brother of the writer and painter August Strindberg. The park proved very popular, not least for its floral splendour, and was well maintained until the outbreak of the First World War and the death of Baron Carl de Geer. The neo-Gothic bell tower in the park opposite the church dates from the 1870s. In the 1960s the landscape architect Walter Bauer restored the park in classical style. His form of expression, inspired by the 1760s, gave the park its present-day appearance. The park contains several works of art that recall the importance of the ironworks, including Hyllning till vallonerna (Homage to the Walloons) by Herta Hillfon from 1969.